Classic jade is always in style. 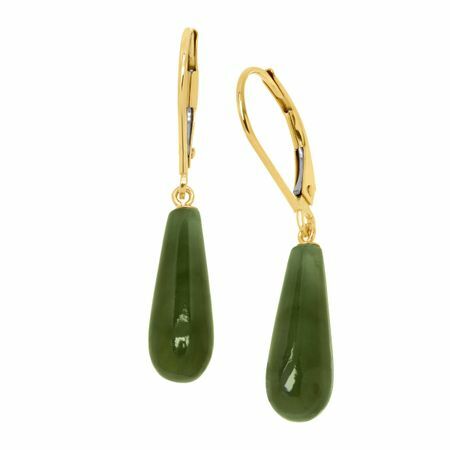 Crafted in 10K gold, these natural dark jade lever back earrings will effortlessly add a pop of color to your ensemble. Pieces measure 1 5/16 by 3/16 inches.